« *** WINNERS *** April, Margaret, KJ, Reese and Andy are Living the Life of Riley! CONGRATULATIONS! Are the hallways of your high school appearing more runway-like these days? Does it seem as though some girls have unlimited bank accounts, sporting some new trend everyday? Whether it's wedge sneakers, tribal minis or tangerine skinnies, you may think you missed the memo on ways to afford all these fads. Though the wardrobes of Emma Watson and Selena Gomez are likely out of your financial reach, you can still emulate your style gurus and have money leftover for lunch. Check out the following tips to turn heads in the hallway without breaking the bank. Before you even think about hitting the retail scene, organize a clothes swap with your friends. In addition to getting rid of items you no longer wear, you can score great style from your fashionable friends for free. Plus, you can help your friends design outfits with their new items and get advice on how to style your new wares. Some days you may feel like you have "nothing to wear," but with a little inspiration you can create a new look using existing pieces and accessories. In addition to magazines like Seventeen, the Internet makes it easy to keep wardrobes fresh with sites like Pinterest. Be sure to check out Design-Seeds.com to find new, unique color combinations for your outfits. As if! In addition to clothes and shoes, getting a new hairstyle is an essential part of preparing for back-to-school. According to MrFreeStuff.com, Remington College is offering free haircuts to kids under 17, so check their site for locations and dates. You should also bookmark Lauren Conrad's The Beauty Department -- it's chock-full of detailed tutorials on the latest hairstyles. Starting a new school year is always exciting, but don't let your enthusiasm overwhelm the household budget. By taking time to look through closets and drawers, you can prioritize what you need and rediscover items you forgot you had (hey, it happens!). From there, purchase a few key, versatile pieces to keep costs low while maintaining style. There's no better time to embrace trends than during high school, but beware of spending too much on fads. Doing so is ultimately a waste of money, since trendy styles are inherently fleeting and become quickly outdated. Shop for up-and-coming styles at Kohl's and Target and embrace the latest thing without letting go of your budget. Though consignment stores have been around for a while, they're gaining popularity among savvy teenagers wanting to update their look for less. Showcase your shopping know-how by trading clothes-swap rejects for credit at Plato's Closet or Buffalo Exchange. Then, hit the racks for deals on denim, sweaters and more. Back-to-school represents a busy time for retailers as they woo consumers with sales and promotions. Since Twitter and Facebook are a permanent part of your lifestyle, following your favorite brands on these sites is a no-brainer. Retailers often announce upcoming sales and exclusive discounts for followers, so it pays to stay in the loop. I love the swap idea! 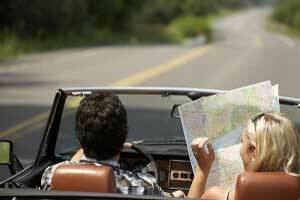 Top 10 Ways to Save on Summer Road Trips ~ Hit the Highway for Less!